When it comes to resources, it’s not what you do that matters, but how you do it. This batch of new kids on block – we are talking cobalt and lithium – isn’t just here for 15 minutes, like first generation solar panels, or Betamax. These commodities are seeing double-digit growth figures in every category that matters: global demand, price, range of applications and exploration intensity. What’s better than a company pursuing one of the most avant-garde, society-transforming, cutting-edge commodities in human history? 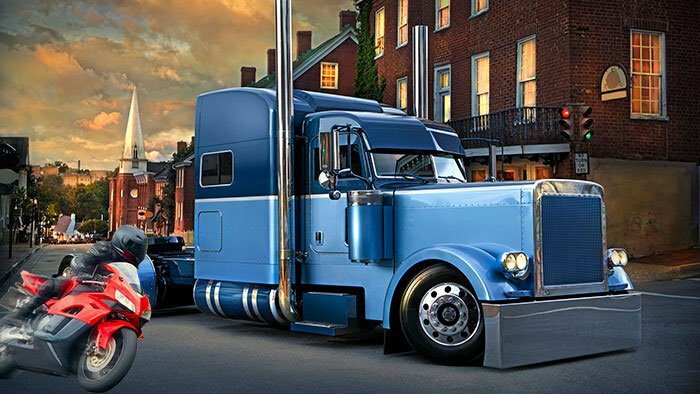 A company that’s pursuing two or more cutting-edge commodities. ... offering society a brighter, more productive future, with hopefully some juicy returns on offer for investors. Today’s ASX listed company has a hand in promising cobalt and lithium projects, with a few base and precious metal projects on the books just to ensure it’s covering all metals bases. The company’s objective is to source high-grade prospects at the lowest possible cost, and develop multiple opportunities to build-up the value of the company. Sounds like a pretty good strategy to us. And with a current market cap of just $10 million, and a recent placement raising $1 million completed, there appears to be some upside to this ASX stock given that a number of drill ready targets should be prodded very soon. Although, at the same time, like all early stage companies; this is a speculative stock. Investors should invest with caution and seek professional financial advice if considering for their portfolio. 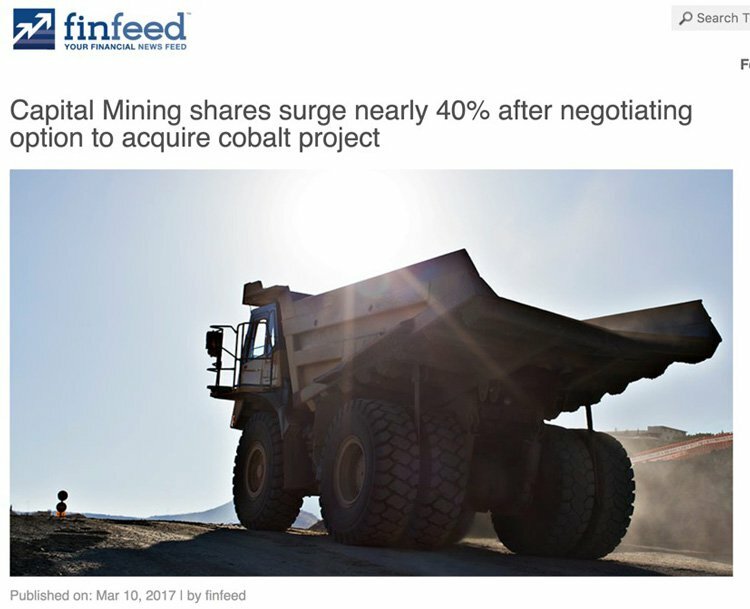 Shrewdly noting that cobalt stocks are making a serious run amongst investors as the market looks beyond lithium and graphite in the lithium ion battery charge up; just a few days ago this ASX stock exercised its option to acquire 100% of the highly prospective Scotia Cobalt-Nickel project in the eastern goldfields of Western Australia. Headlines such as this from the Perth’s Sunday Times indicate just how hot the cobalt is market is right now. 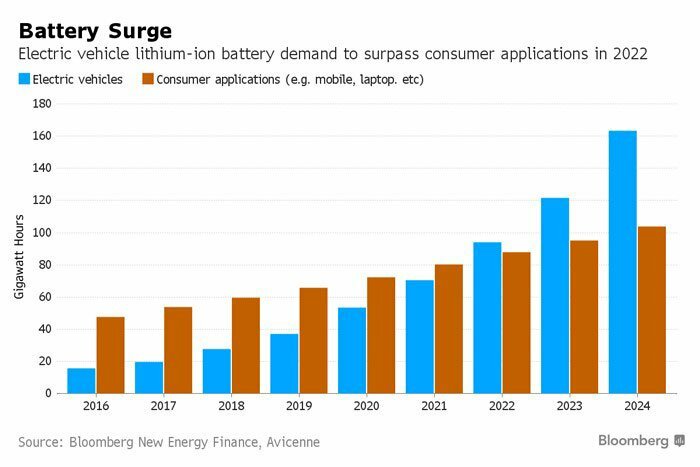 So, if you thought the booming wave of ‘new energy’ facilitators such as lithium, cobalt, graphite and graphene, was just a storm in a disposable teacup — think again. Today’s company has certainly given its entry into the cobalt market some thought and after completing a highly successful period of due diligence, believes it has its hands on a highly value accretive project, just 65 kilometres from Kalgoorlie, which has already shown highly anomalous cobalt mineralisation. This cobalt play fits nicely with the company’s growing portfolio of technology metals assets. Its Wolfhound Project in Ireland recently provided high grade lithium assay results of up to 2.47% Li 2 O, following a highly encouraging first pass exploration program. Follow up work is now being down to prioritise drill targets as it prepares for its next drill program. The other piece of the puzzle is this company’s 51% equity in the Mayfield Project in NSW, which hosts a gold-copper skarn deposit. Recent drilling also identified a significant high-grade zinc zone, and confirmed the prospect is open along strike and down dip. Clearly this company has a lot going on. It has its hands on energy-tech metals whose prices have risen considerably, gold which despite its fluctuations, remains relatively stable, and potentially zinc, another metal expected to increase in demand due to tight supply and a hungry market. That’s a lot to take in, but with all that in mind, it is certainly worth digging a little deeper. 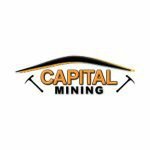 Capital Mining (ASX: CMY) belongs to the growing ranks of ASX explorers seeking to secure promising commercial resources in lithium, cobalt, zinc, nickel or gold – and the company is planning potentially highly value accretive drilling programs at its cobalt, lithium and base and precious metals projects right now. The prime reason that dozens of explorers are picking up their shovels and scooting out into the field, is the prospect of a major upgrade in how the world sources, stores and distributes energy. For over 100 years, crude oil has ruled the roost with aplomb. Oil is the lifeblood of global economic markets, representing a large chunk of our expenditure, from individuals paying for fuel at the bowser, or companies spending on production and transportation. ...maybe, just maybe, there is another contender that can usurp it or at least match it, and welcome in a new dawn of dominance. With politicians from both the East and West agreeing that the world’s energy markets need a shake up, it’s worth taking a look at small-capped companies pitching their tents in the sustainable energy sector. CMY hopes to action its business plan with haste, on the back of fast-growing new-age commodities, but also, trying to flog some commodity market veterans such as gold, silver, zinc and nickel. CMY is intent on joining the next generation, rather than catching up to an old one. To do this, it has added both lithium and cobalt prospects to its development portfolio, that already has gold, silver, zinc and nickel potential. Acquired only this year, the Wolfhound Project in Ireland may well end up becoming CMY’s flagship project. 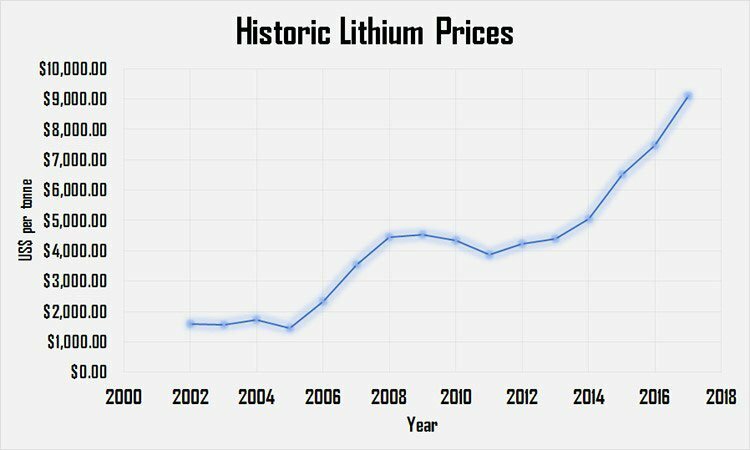 Not only because current global lithium production is struggling to meet demand, but also because it already sports a rather fine selection of assay results. CMY entered into a Binding Agreement to acquire 100% of the prospects at Wolfhound from Wolfhound Lithium in June 2016. The company has a total of seven prospecting licenses spread across 270 sq. kilometres. 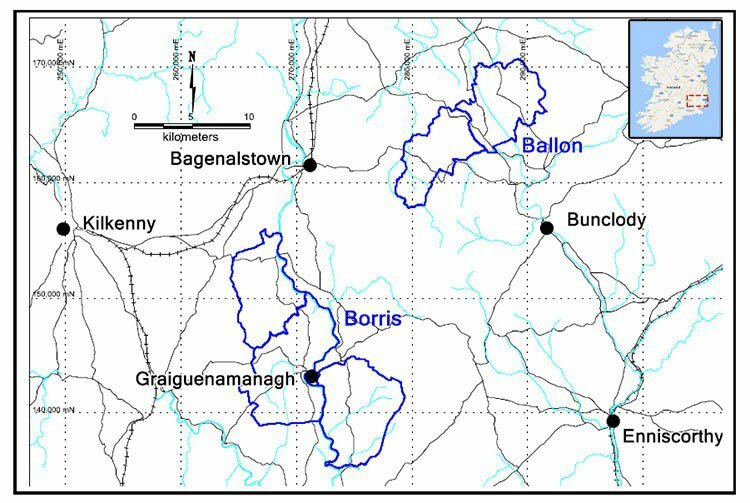 The Ballon and Borris prospects are located in the highly prospective Leinster Granite Region in the south-east of Ireland. The geological characteristics of the region — The Leinster Granite — are analogous to Talison’s Greenbushes Lithium Project in WA – which is currently the largest known source of hard-rock lithium in the world. The prospects are in close proximity to International Lithium Corp’s (TSXV: ILC) Avalonia Lithium Project. International Lithium Corp. recently reported high grade intersections from drilling at the Avalonia Project including; 2.33% Li 2 O over 4.62m, and 3.29% Li 2 O over 1.67m. CMY was loitering with intent and reviewing several lithium projects worthy of acquisition. It was Wolfhound that finally got the nod and for good reason. Before a shovel or drill-bit was even thrown, CMY’s first-phase exploration run yielded an exceptional high grade rock chip assay result of 2.47% Li 2 O. As a general rule of thumb, anything above 2% Li 2 O is considered excellent at this stage of exploration. This is an encouraging result to be delivered from a first-pass reconnaissance exploration program and further confirms the project area’s potential to host additional lithium-bearing turf. It seems CMY has picked up a project with a rather straightforward development plan, which is further demonstrated by CMY’s ‘nearology’ factor. As we’ve mentioned, CMY is pitching its stall to become a fully-fledged multi-faceted metals developer over the coming few years, with a whole-hearted focus on lithium and cobalt. The chart above illustrates the audacious switch the world is experiencing — from petrol-powered cars and power-stations to battery-operated ones powered by the sun. 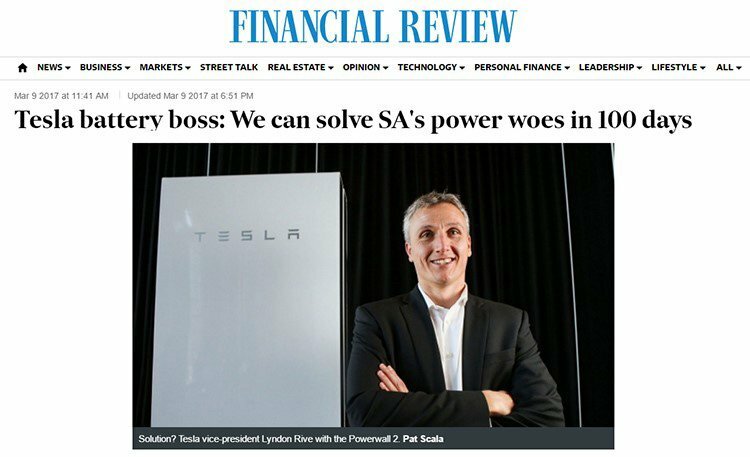 But it’s not just solar power that will be juicing up the billions of lithium-ion batteries on the conveyor belt to market. Lithium ion batteries can also be charged with electricity from traditional power stations. Those power stations can be fuelled by coal, gas, oil, nuclear, wind or solar. In effect, lithium-ion batteries are not a power generator, but a power enabler — changing how power is stored, distributed and ultimately consumed. This shift also includes mobile phones, tablets, laptops, other machinery and things that haven’t even been invented yet. Lithium-ion batteries make it all possible... and they require an incredible amount of lithium and cobalt. Ever wondered how lithium-ion batteries work? All these technology advances are already gaining market traction for early commodity investors. These kinds of market conditions couldn’t be a better fit for CMY, a small but agile explorer with plenty of catching up to its bigger peers still to come. Cobalt and lithium have never been mass-produced or easy-to-find commodities. In the past, given their specialised nature and specific processing requirements, demand was capped and came in comparatively small quantities. But not anymore. 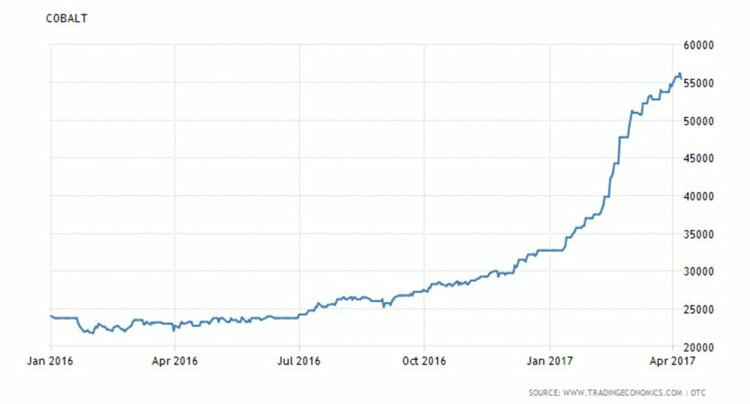 And now, just like lithium, the cobalt market is heating up on the back of lacklustre global supply. Mobile phones are set to outnumber people in the near future, even as it already seems that every man and his dog own a battery-requiring digital device. This alone suggests that these two boutique metals are on a direct route for mass market stardom in coming years. As you can see, cobalt prices are a bit reminiscent of their lithium cousin. Prices began to shoot up in 2016 and haven’t slowed since. For the record, cobalt prices have risen from around $23,000/t in January 2016, up to a high of over $55,000/t earlier this month. That’s a 140% rise in less than two years, or what commodity market aficionados might call that a ‘boom’. Yet of course, commodity prices are notorious for unpredictable fluctuations, and can go down as well as up – so caution should be applied to any investment decision here and not be based on spot prices alone. Seek professional financial advice before choosing to invest. We don’t expect this to be the end of the good news either: CMY looks like it may serve up more tasty treats of this nature in coming months, as it continues on its exploration spurt and starts drilling some targets. CMY signed a binding agreement with Maincoast Pty Ltd in March to acquire a 100% stake in the Project subject to satisfactory completion of Due Diligence. From evidence to date, it appears that Scotia is a highly prospective cobalt asset, located in an active mineral province. Despite Scotia being in its early stages, we are hoping this will represent a value accretive acquisition to complement CMY’s broader portfolio of technology-metal assets. 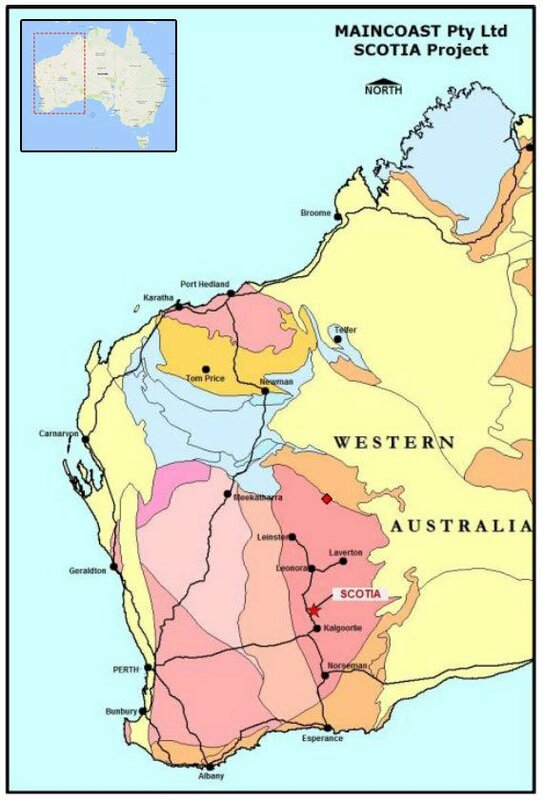 The Scotia Project is situated just 20 kilometres along strike of the Silver Swan and Black Swan nickel mines (which host approximately 185,000t Ni production and resources) within the Archean Kalgoorlie Greenstone Terrane of WA. Nickel has historically been the key commodity focus of the project, but widespread cobalt mineralisation has also been intersected including; 27.4m @ 0.06% Co and individual cobalt values of up to 0.47% Co, and CMY will be looking to fully explore the projects cobalt potential. 50 million fully paid ordinary CMY shares and 25 million options to subscribe for CMY shares for $0.02 each within 3 years of the date of issue, upon completion of the acquisition. ...it also wants to supplement this with nickel and gold discoveries from its other batch of assets in NSW. Regardless of the level of success CMY manages to achieve at Wolfhound in Ireland and Scotia in WA — its NSW-based assets have plenty of merit in their own right. Last year, CMY intersected high grade zinc and silver in its drill program at the Mayfield Project. Significant high grade intersections included 7.20m @ 4.31% Zn, 0.58% Cu and 16g/t Ag from 198.50 metres. Assays from the same drill hole recorded zinc grades as high as 28.7%, copper grades of 2.2% and silver grades as high as 48.9g/t. Based on these high grade results, CMY is now planning for the next phase of drilling at Mayfield to significantly extend the area of high grade mineralisation at the Project. Close to CMY’s NSW assets, is another hopeful ASX base-metals developer which CMY may want to emulate — the $50M capped Heron Resources with its nearby known gold-producing open-pit mine, Woodlawn. Heron has released a strong PFS, which would be encouraging for CMY, which is looking to hopefully prove up something similar. If CMY can get its hands on something similar, its NSW-based assets could really add to its valuation. CMY’s geologists consider their Mayfield prospect as highly analogous to Heron’s Woodlawn Project, but NSW does remain a secondary consideration to its Irish lithium and West Australian cobalt projects. As you can see by the chargeability heat map below, CMY is detecting top-of-the-range readings and stands ready to allocate additional funds and drill-time; if and when there is a need to do so. Legacy assets add additional support to CMY in making a value accreting discovery as soon as possible. The factor that gives the $10 million capped CMY a decent chance of generating something significant in NSW is the analogous nature of its prospects in comparison to Heron’s Woodlawn. With Mayfield being so analogous to Woodlawn, CMY’s analysis indicates that from all its prospects, Mayfield could deliver the best quantities of zinc, silver and gold. CMY remains in an early exploration stage, and will gradually redirect more resources towards progressing its legacy assets, depending on exploration progress elsewhere in its portfolio. That’s a good thing about having money on several horses — in more than one race — there’s simply more chance of making it past the post and proving up something economic. As an aside, a rumour currently doing the rounds, is that a Japanese base-metals developer is close to committing to building a processing plant in the area, which would further shorten the odds that CMY can offload some early gold/nickel/copper/zinc finds. If CMY can muster up some decent assay results and complete its exploration as soon as possible, we could see CMY rise above its current $10 million market cap. The company holds several interesting cards — all of which have a good chance of paying off given current market conditions. 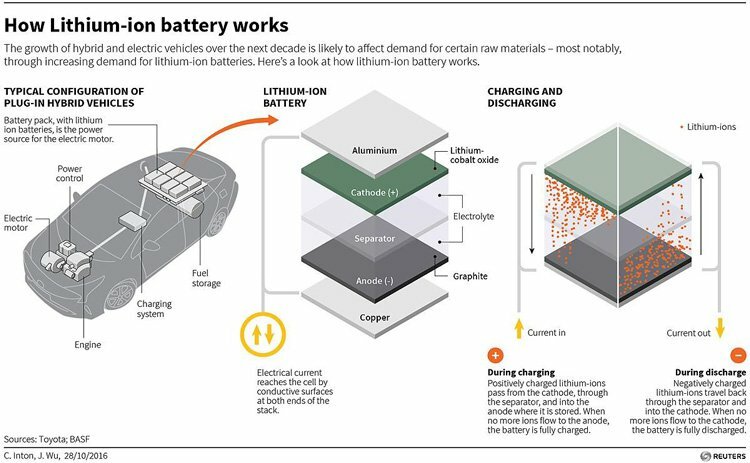 Global lithium and cobalt supplies are gradually being gobbled up by battery manufacturers, and demand is only likely to get bigger with the impending Gigafactory boom, now expanding from Nevada over to Europe and beyond. Tesla’s Nevada Gigafactory will have an annual production capacity of 35,000,000 kWh, or 35 GWh, which requires around 5,000-8,000 million tonnes of lithium per year — and that will continue growing as Tesla sells more cars. That’s without even mentioning all the other car makers who are following Tesla’s lead and switching electric. Positive sentiment on the back of surging metals prices, amidst a broader commodities recovery, could boost CMY on its path towards establishing a notable presence in both base and exotic metals. The commodity market landscape is changing. Lithium and cobalt are still susceptible to significant highs and lows due to a lack of market maturity, however, over time, both lithium and cobalt are expected to take front-row seats in the global energy mix. Any one of its handful of targeted commodities could potentially take CMY’s full attention and lead to a single resource specialisation. Conversely, CMY could end up generating cashflow from several different commodities simultaneously. However, any cash flow from production is speculative at this very early stage, so investors should consider all publicly available information and take a cautious approach to their investment decision. Either option is likely to suit CMY, given the strong early grades we’ve seen from all of its projects, combined with the low expenditures required to bring them under CMY’s control. Taking into consideration the embryonic level of lithium and cobalt as global markets, being ‘first’ isn’t important because there are still many caveats to be confirmed. However, being ‘last’ would mean paying the highest prices and getting something no one else wanted. CMY has avoided that by securing two strong early-stage projects, which only leaves exploration to complete in order to raise its valuation. ...rather than a sluggish juggernaut with a market footprint. So as we have highlighted above, CMY is strongly leveraged to an energy-optimised future; as well as remaining rooted in the safe-haven of gold — that’s a great combo and a neat diversifier. So, while the mature miners out there lumber around waiting for the perfect market conditions — CMY is leading from the front, snaffling up cornerstone technology-resource assets and moving rapidly towards securing pole position in tomorrow’s technology-enabled commercial bonanza, available as an investment today.